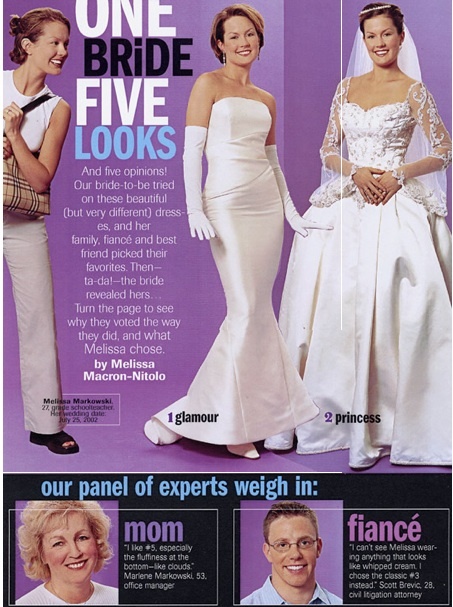 Another great feature I pitched and wrote for Modern Bride, “One Bride, Five Looks.” The idea was to create five very different wedding-day styles for a bride-to-be and have some of her nearest and dearest weigh in on the options. I found the perfect newly engaged woman in the adorable Melissa Markowski. 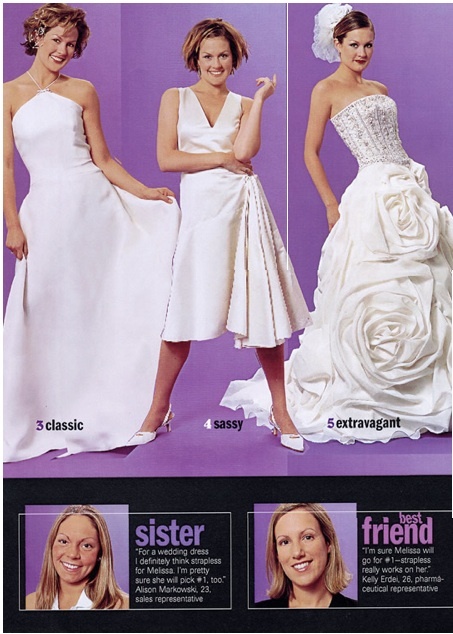 She was excited about her wedding—and this concept. We recruited her mom, sister, best friend and fiancé and it was on! At the photoshoot, Missy was a great sport and played up each distinct look beautifully. I conducted interviews with everyone on-set that day and the results were wonderful. 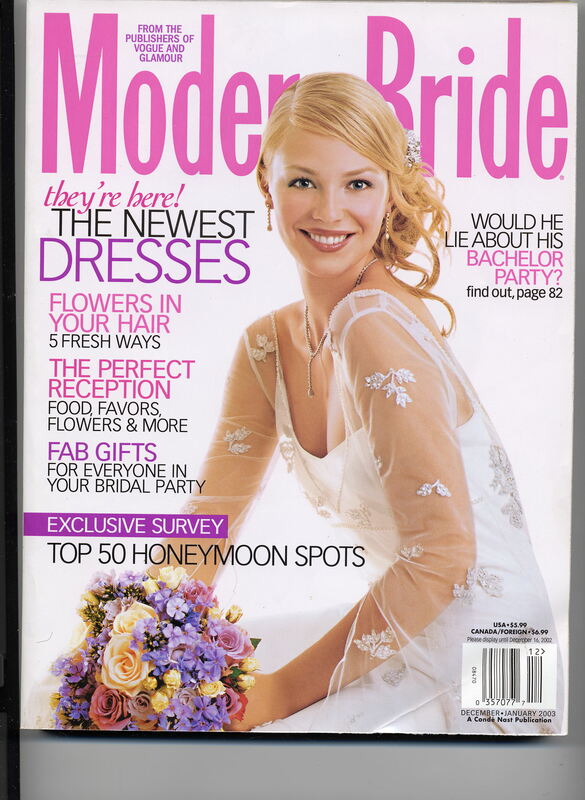 This entry was posted in Work and tagged bridal, bridal gowns, bridesmaids, editorial, fashion, feature, groom, interviews, magazine, Modern Bride, mother of the bride, mother-in-law, publishing, real bride, wedding, wedding dresses. Bookmark the permalink.